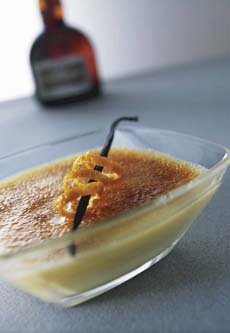 Make this Grand Marnier Crème Brûlée recipe. More recipes are below. So many desserts, so little time! We’ve broken this section out from the baked desserts, Cookies, Cakes & Pastry. Here you’ll find the puddings, the fondues, the frozen desserts and the novelties. If you have suggestions, comments, or want to tell us about your favorite desserts, please send us your suggestions. Don’t forget to visit our Cookies, Cakes & Pastries Section and also our favorite Dessert Sauces & Toppings.